Tes was developing iPhone apps. When trying out a few prototyping tools he stumbled upon Framer and decided to write a manual for it. 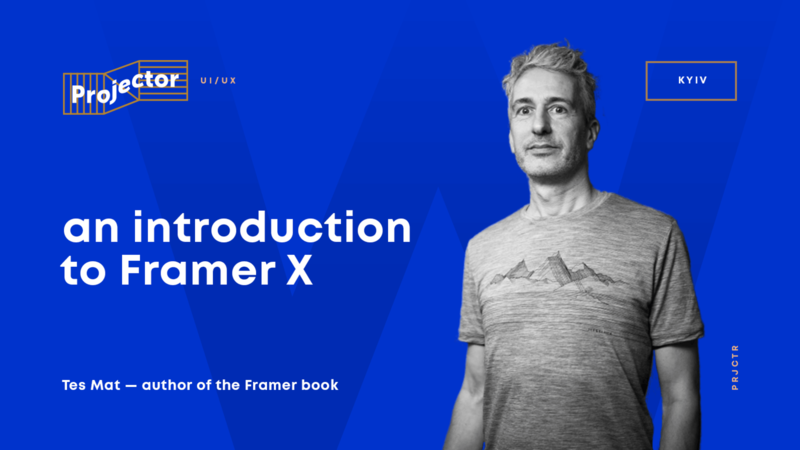 He's now working on a new book about Framer X.
Framer X is a completely new tool. It's easier to use than Framer Classic for most prototypes, but on the other hand it's now harder to create your own custom interactions. — Quite difficult. Creating your own interactive components that are based on React. We'll make one of these Code Components at the end of the workshop. We start from scratch, but you do need to have some (drawing) experience with a similar screen design tool, like e.g., Sketch, Figma, Adobe XD. 2) Visual Studio Code (a free text editor). Useful for UI / UX designers who want to have more possibilities when creating prototypes; react developers who want to add their own components to this design tool.